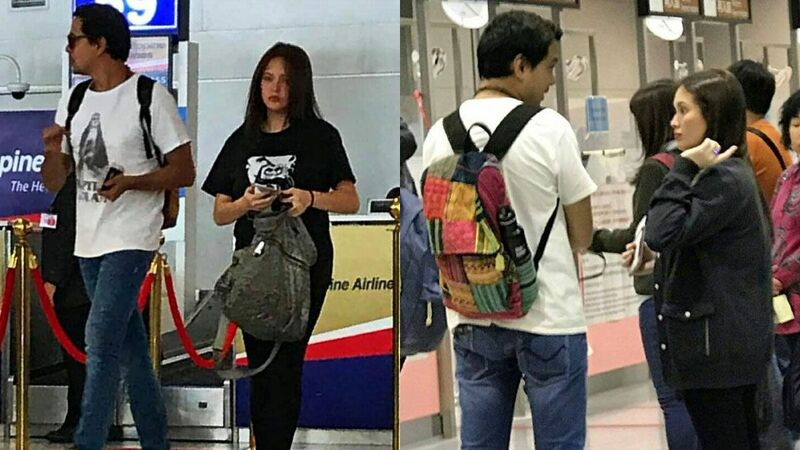 Controversial couple John Lloyd Cruz and Ellen Adarna were recently spotted at the Kansai International Airport in Osaka, Japan where images of them were uploaded to an Instagram fan account. A source claimed to have heard Lloydie and Ellen call each other "love" as they waited in line at immigration. Here are some images of the couple before leaving the country, as taken by anonymous netizens. Lloydie confirmed their Osaka trip by posting snaps on his IG. Until now, there has been no public confirmation of their rumored wedding and Ellen's pregnancy with the two remaining mum and out of the spotlight in the recent months.